Sizing: Width- 20cm (8in) x Length- 22cm (9in). 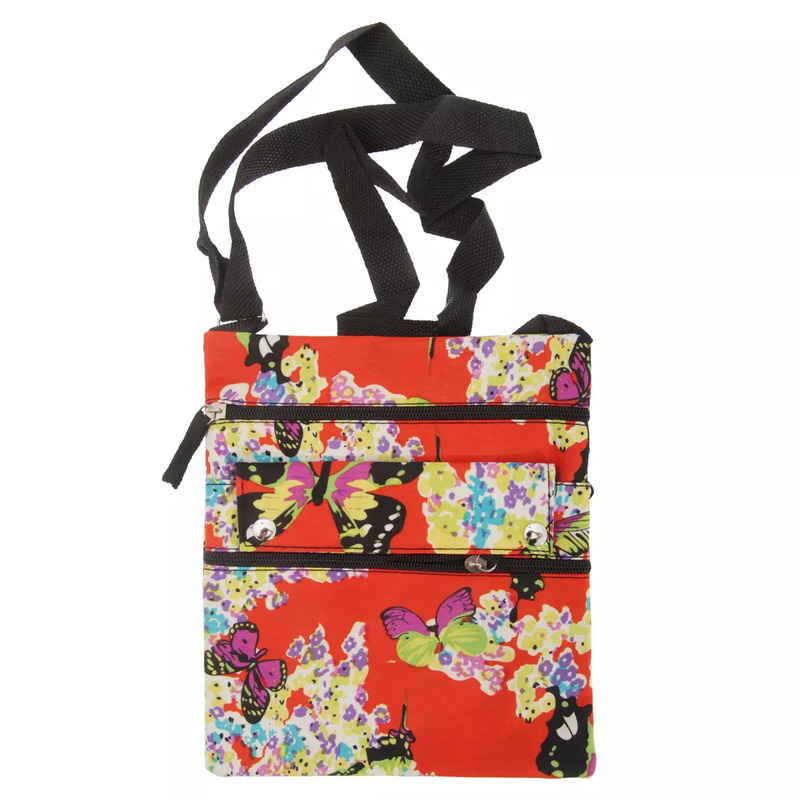 Ladies shoulder strap handbag with floral butterfly print design. Three pockets on front, two secured by zip fasteners and one secured by snap fasteners. One zip pocket on rear.